Do you remember when you shaved for the first time? If you are like many of us, the first time was likely filled with questions and anxieties, wondering if you were doing it correctly. Even if you had guidance and assistance with your first shave, it still might have been scary. Some of the same anxieties make their way into using a shaving brush for the first time too. 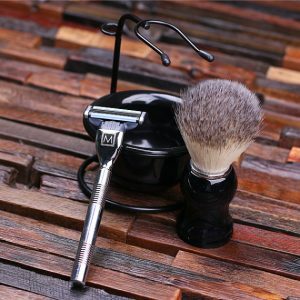 As shaving brushes are starting to become more widely known and utilized, you will be wanting to know how to properly use such a brush, just like how you wanted to know how to properly shave when you went to do so the first time. If you’ve been wanting to know how to use a shaving brush the correct way, you’ve come to this right place! 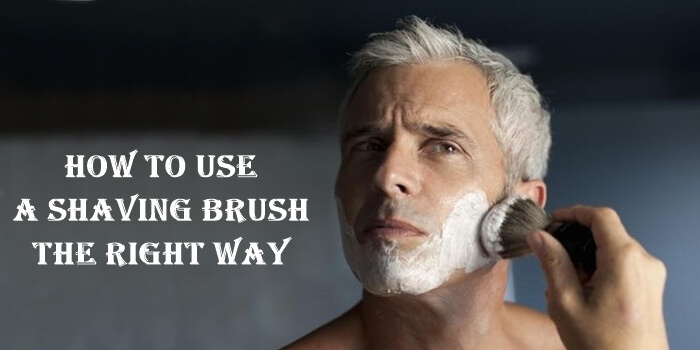 Here in this article, we are going to guide you through the proper procedures for using a shaving brush. We will walk you through everything you need to know, including informing you of the different types of shaving brushes that are available. Once you are finished reading, you will be all set to get started using your new shaving brush right away. Let’s start off by looking at the different types of shaving brushes you can choose from! There are five major types of shaving brushes. These brushes include synthetic bristles, boar bristles, pure badger bristles, super badger, and silvertip badger. Each type of shaving brush has characteristics and qualities that will be beneficial to you and some types of brushes might be more useful to you than others. Synthetic bristles are known to be entry-level bristles, making for a good first brush for your first time using a shaving brush. This type of brush is also a good option for individuals who would like to stay away from bristles made from animal by-products. These brushes have bristles with a medium stiffness and are able to provide you with a strong wet shaving experience even if the brushes might not last as long as other types. Boar bristles are the strongest brushes of all shaving brushes that are available. Brushes with these bristles are able to reach tough spots thanks to the thickness of each bristle itself. Even if this brush might not be the most comfortable, you will enjoy it as the bristles will be able to fully open and unclog your pores. Boar bristle shaving brushes tend to be the least expensive as well. Of the three badger-type brushes available to you, pure badger bristles are of the lowest grade. Still, simply being a badger-type brush automatically makes it of high quality. This type of brush is a mix of boar and badger; although, it continues to offer stiff bristles which allow it to be a powerful medium brush that is safe for your wallet. The super badger-type brush is the next highest grade brush above the pure badger brush; however, it is not a high of a grade as the silvertip badger. The super badger is a mid-grade brush that is often identified by its white tips. Its strength of bristles lies between the pure badger and the silvertip badger. If you are looking for the best shaving brush possible, then the silvertip badger brush will be the option you will want to go with. This type of brush is expensive (often starting at $45), but it’s soft and comfortable bristles make for a phenomenal shave that you will love. Now that we know a little more about the different types of shaving brushes that are available. Let’s dive into the process itself for how to use a shaving brush the correct way. The first thing you will want to do is wet your face with a hot towel. By giving yourself this relaxing treatment, you will be able to prepare your face for the best shave by opening up your skin and pores. Next, go ahead and ensure your soap puck is properly placed at the bottom of your shaving mug. Then, place some hot water in a bowl, sticking your brush in the water until it is wholly underneath the water, wetting all of the bristles. Take it back out and tap or shake it to remove the extra water. You will now begin making the soap lather by whipping the soap puck until a usable lather is formed. As a general note, the more water you add to your leather, the thinner it will become. Once your lather is created to your liking, completely lather up your brush, moving your brush around in a circular motion. This motion will help your brush to maximize its true potential, allowing all of the bristles to carry soap. At the same time, by using this rotational motion, you will be exploiting your skin while also raising your hair and adding a powerful leathery coat to your skin. Once you are finished with your shave, you will want to be certain to take extra special care of your brush to maximize its longevity. Use a towel to dry off the brush and then hang your brush on a stand once it is damp or dry. Hang the brush with its bristles facing down to allow the brush to dry naturally and evenly. This will all help to increase the worth you are getting out of your brush. You now know how to properly use a shaving brush! With the above information, you can find the type of shaving brush that will work best for you. Once you have your brush identified, you can use the steps in this article to finally have the best shave of your life!